The flame maple body is visually stunning. Brighter in its tonality and sure to warm any ukulele player’s heart with its charm and simplicity. 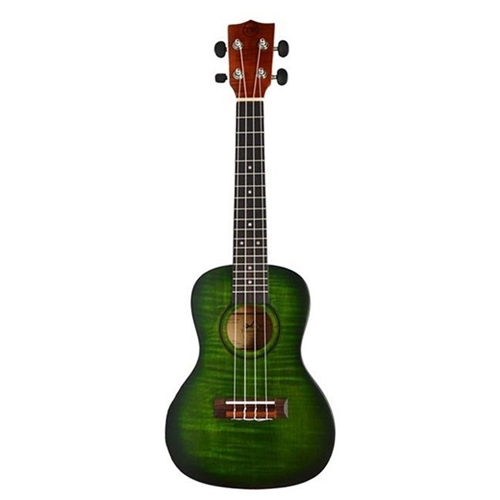 Flame maple ukuleles offer a lively full body that resonates with sparkling highs and warm lows. Bone Nut and Saddle, Solid flame maple top, Mahogany neck, Mahogany binding, Satin finish, Rosewood fingerboard & bridge, Includes padded gig bag.